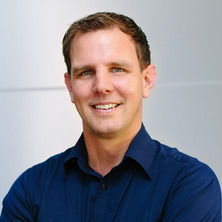 Dr Rosengren is an ARC Future Fellow at the School of Biomedical Sciences, University of Queensland. He completed his PhD, which focused on structure-activity relationships of antimicrobial peptides, under the supervision of Professor David Craik at the Institute for Molecular Bioscience, UQ, in 2003. After two years of post-doctoral work at IMB he moved to Sweden in 2005 to take up a position as Assistant Professor at Linnaeus University, Kalmar. During 2008-2009 he held a joint appointment between Linnaeus University and Uppsala University. In 2009 he was awarded the Swedish “Docent” title before returning to University of Queensland as a Senior Research Officer, funded by an NHMRC Career Development Award and an ARC Future Fellowship. Dr Rosengren’s research focuses on structure activity relationships of bioactive peptides, in particular peptide hormones and the use of NMR spectroscopy in the design of novel peptide drug leads. Rosengren, K. Johan and Craik, David J. (2010) Peptide rope tricks. Chimica Oggi, 28 6: 28-32. Isolation, solution structure, and insecticidal activity of Kalata B2, a circular protein with a twist: Do Mobius strips exist in nature? Wade, JD, Lin, F, Rosengren, J, Craik, D, Otvos, L, Bathgate, R and Tregear, GW (2005) Structure and neurofunction of relaxin-3, the ancestral relaxin. Biopolymers, 80 4: 538-538. Craik, DJ, Rosengren, KJ, Sando, L and Simonsen, SM (2005) Threaded rings and complex topologies in novel antimicrobial peptides: Nature's bio-engineering templates. Biopolymers, 80 4: 489-489. The toxicity of ribbon worms: Alpha-nemertides or tetrodotoxin, or both? Goncalves, Daniela, Rishi, Gautam, Aliyanto, Randy, Rosengren, Johan, Subramaniam, Nathan, Frazer, David and Clark, Richard (2016). Development of peptide therapeutics for iron disorders. In: 6th Meeting of the International BioIron Society, Zhejiang University, Hangzhou, China, (E78-E78). 8-10 September 2015. Cardoso, F. C., Dekan, Z., Anangi, R., Rosengren, K. J., Erickson, A., Vetter, I., Herzig, V., Alewood, P., King, G. F. and Lewis, R. J. (2014). Discovery of voltage-gated sodium channel inhibitors from tarantula venoms. In: Venom to Drugs Conference 2014, Kingscliffe, NSW, Australia, (). 19-23 October 2014. Henriques, Sonia Troeira, Huang, Yen-Boa, Rosengren, K. Johan, Franquelim, Henri G., Carvalho, Filomena A., Johnson, Adam, Sonza, Second, Tachedjian, Gilda, Castanho, Miguel A. R. B., Daly, Norelle L. and Craik, I. David J. (2011). Differences in bactericidal, hemolytic and anti-HIV efficiencies of the cyclotide kalata B1 are explained by distinct cell membrane compositions. In: 22nd American Peptide Symposium, San Diego, California, (497-498). 25-30 June 2011 . Rosengren, KJ, Jen, FEC, Clark, RJ, Goransson, U, Daly, NL and Craik, DJ (2005). A novel threaded ring structure for the antimicrobial peptide microcin J25. In: Martin Flegel, Peptides 2004: Bridges between Disciplines ; Proceedings of the Third International and Twenty-Eighth European Peptide Symposium. Peptides 2004: 3rd International Peptide Symposium / 28th European Peptide Symposium, Prague, Czech Republic, (174-175). 5 - 10 September 2004. Plan, MR, Goransson, U, Rosengren, KJ, Clark, RJ, Daly, NL, Evert, P, Chen, C, Cagauan, AG and Craik, DJ (2004). Cyclotides: Novel Peptidic Pesticides for Plant Protection. In: Journal of Peptide Science. , , (278-278). .
Clark, RJ, Dempster, L, Daly, NL, Rosengren, KJ and Craik, DJ (2004). Design, Synthesis and Structural Studies of Cyclic Alpha-Conotoxins. In: Journal of Peptide Science. , , (269-269). .
Craik, David J., Daly, Norelle L., Colgrave, Michelle L. and Rosengren, K. Johan (2004). Discovery and applications of the cyclotides: Circular proteins from plants. In: Chorev, M and Sawyer, TK, Peptide Revolution: Genomics, Proteomics & Therapeutics. 18th American Peptide Symposium, Boston, MA, U.S.A., (402-406). 19-23 July 2003. How do sunflowers produce both a seed storage protein and a potent trypsin inhibitor from the same gene? How do sunflowers make protein drugs in their seeds? Mechanisms of neurotrophin receptor signalling.